How we can use this app? 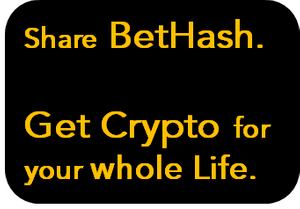 Once you're on BetHash.com, the top right corner of your screen will provide a means to sign up with an e-mail. 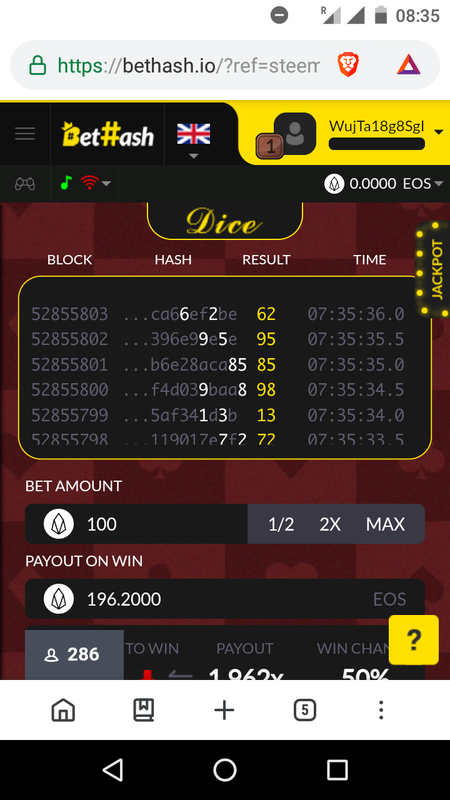 After that, you can deposit BTC, ETH, EOS, or various tokens to start playing. And yea, I've had troubles with Scatter too. 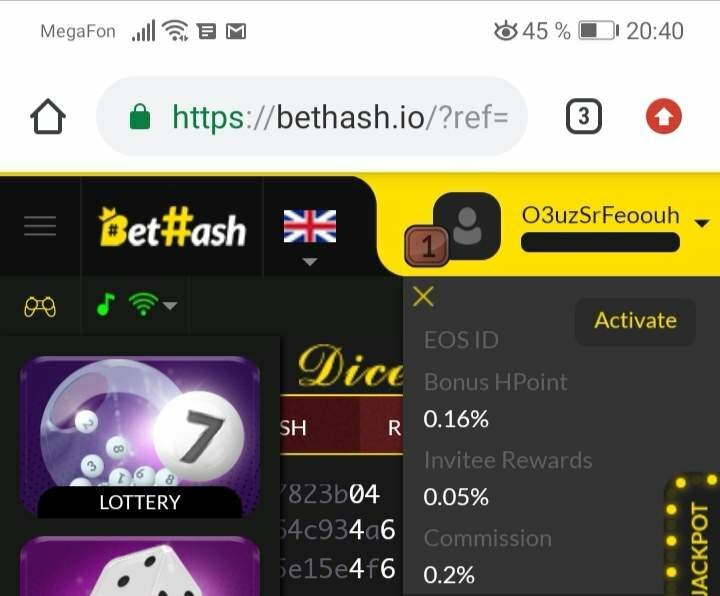 Even though I have an EOS account, I would like if more dApps adopt BetHash's UI. 🎁 Hi @sames! You have received 1.0 STEEM tip from @hatu! 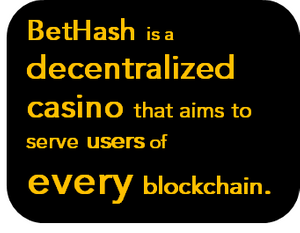 That might be a part of it, but I think the key reason is that they solved the UI problem of decentralized casinos. 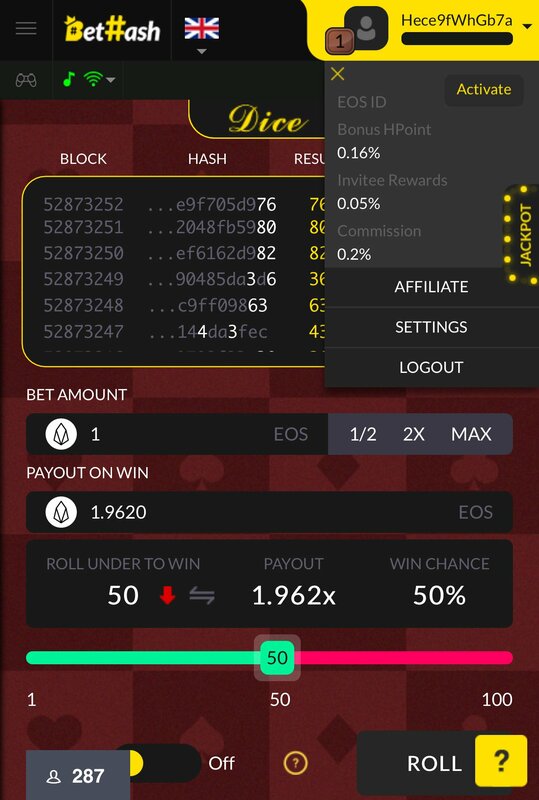 The average person doesn't know what Scatter or MetaMask are, but he/she would like to play on a casino that is 100% fair. 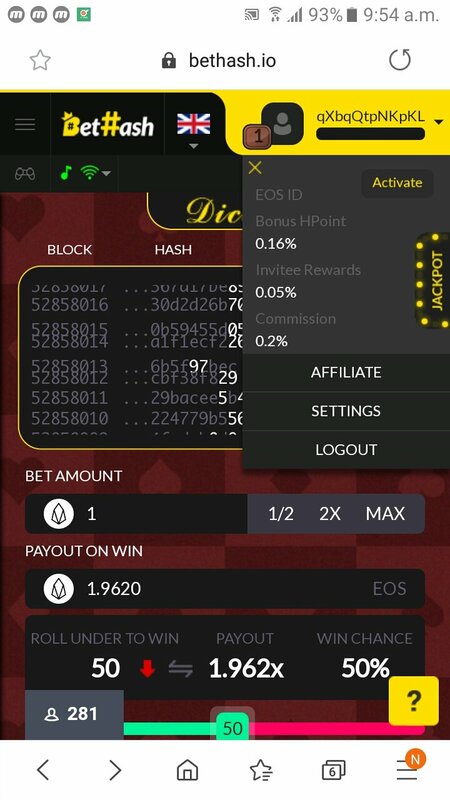 Even if people sign-up with e-mail, an EOS account gets synced with their profile. 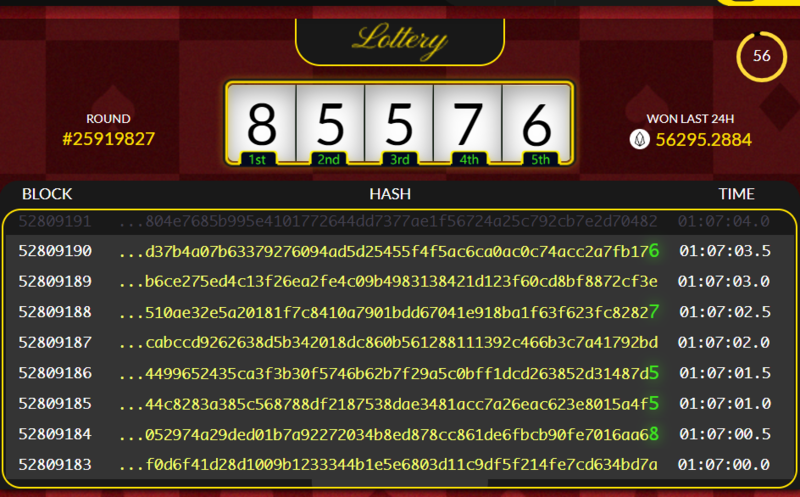 Subsequently, everyone who plays it interacts with the blockchain without ever having to learn anything about the blockchain. 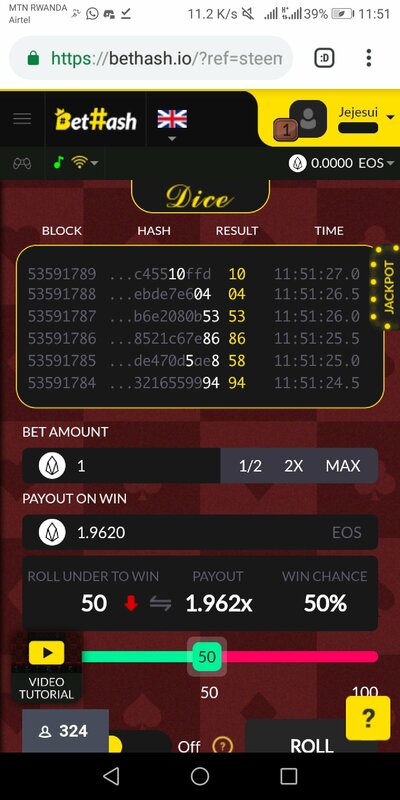 That may be a piece of it, however I think the key reason is that they tackled the UI issue of decentralized gambling clubs. 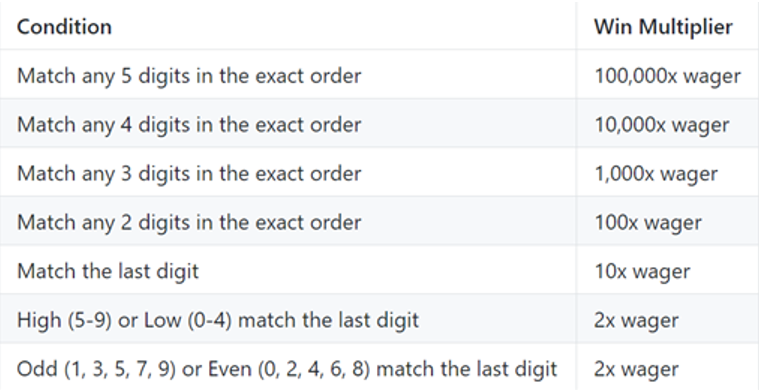 The normal individual doesn't have the foggiest idea what Scatter or MetaMask are, however he/she might want to play on a gambling club that is 100% reasonable. 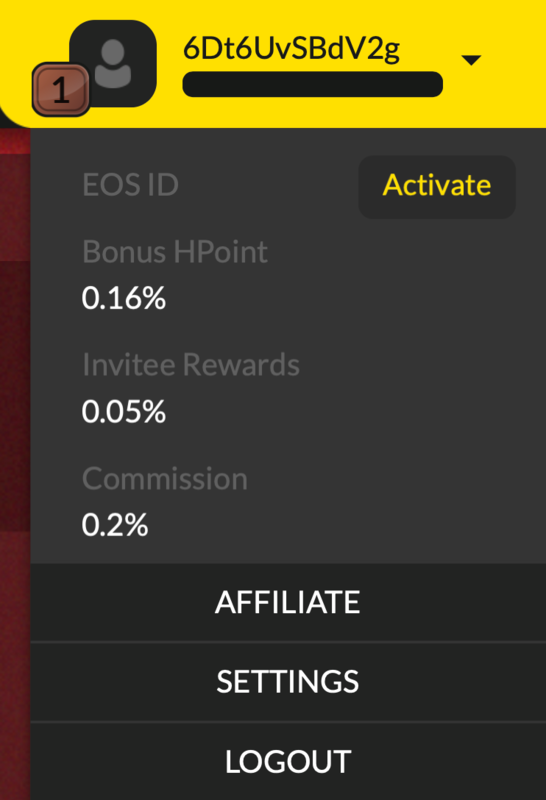 Regardless of whether individuals join with email, an EOS account gets matched up with their profile. In this way, everybody who plays it collaborates with the blockchain while never getting the hang of anything about the blockchain. Thanks for the very useful information. 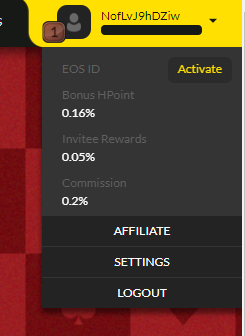 First 20 users will get free steem. So it must be tried Immediately. 🎁 Hi @alan369! You have received 1.0 STEEM tip from @hatu! 🎁 Hi @jazzresin! You have received 1.0 STEEM tip from @hatu! Did as instructed. Hopefully I did everything correctly. 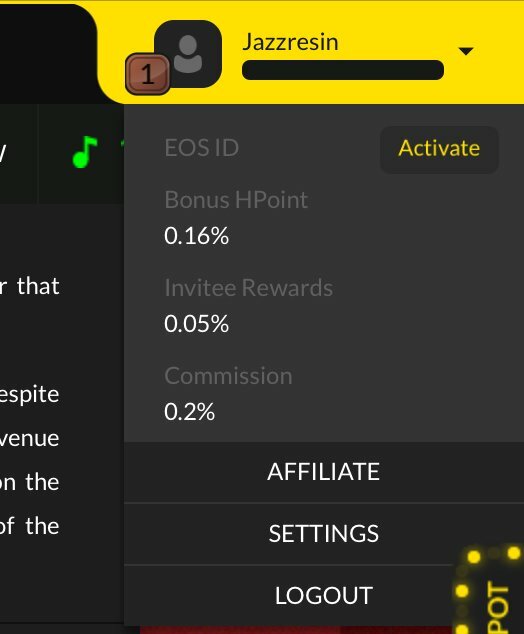 Also, the dapp looks really fun. 🎁 Hi @yuki-nee! You have received 1.0 STEEM tip from @hatu! 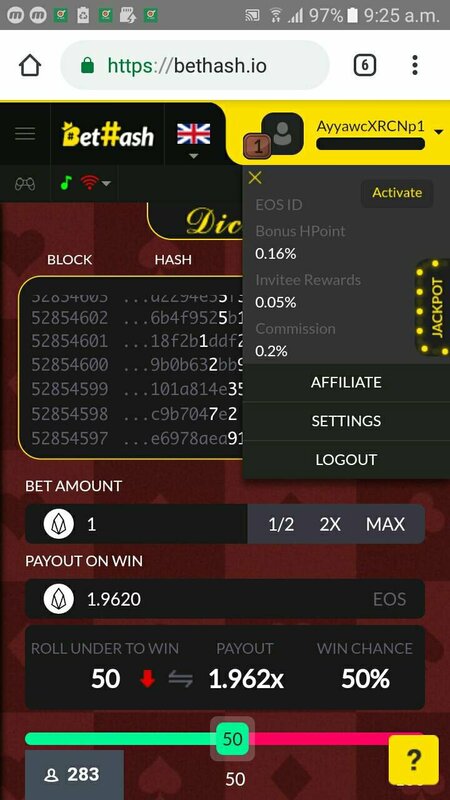 The dapp look promising and exciting. Thanks for introducing it to us. 🎁 Hi @chrislyr! You have received 1.0 STEEM tip from @hatu! Resteem and my proof of work. 🎁 Hi @maxbow! You have received 1.0 STEEM tip from @hatu! 🎁 Hi @didmyownresearch! You have received 1.0 STEEM tip from @hatu! 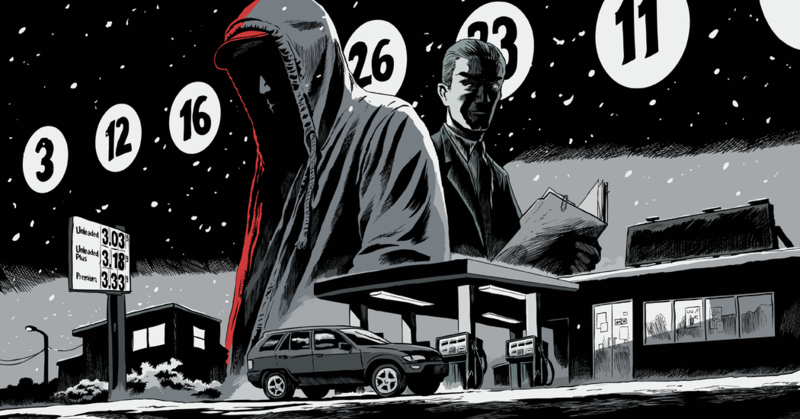 I have created an account and resteemed your post. 🎁 Hi @elevator09! You have received 1.0 STEEM tip from @hatu! 🎁 Hi @manhar2491! You have received 1.0 STEEM tip from @hatu! 🎁 Hi @travoved! You have received 1.0 STEEM tip from @hatu! Thanks for sharing and contributing to the blockchain!!! 🎁 Hi @kiddady! You have received 1.0 STEEM tip from @hatu! 🎁 Hi @iaf29! 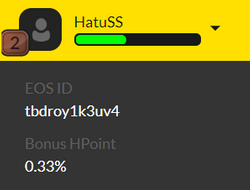 You have received 1.0 STEEM tip from @hatu!